As parents-to-be soon discover, with babies comes an avalanche of gear and gadgets. Our team of parents helps break it down for you based by category: health, monitors, travel, food prep and the all-important yet elusive sleep. All these recommended products include some neat technological advances to help parents during baby’s first year. With these tools by your side, you can’t go wrong! Splish, splash, give your baby a bath in the 4Moms Infant Tub, designed to allow clean water flow in while dirty water flows out. Side drains ensure your baby is always sitting in clean, circulating water. Bathtime can be difficult with a squirmy little one, but unlike basic infant tubs, this tub helps you keep everything you need close at hand. 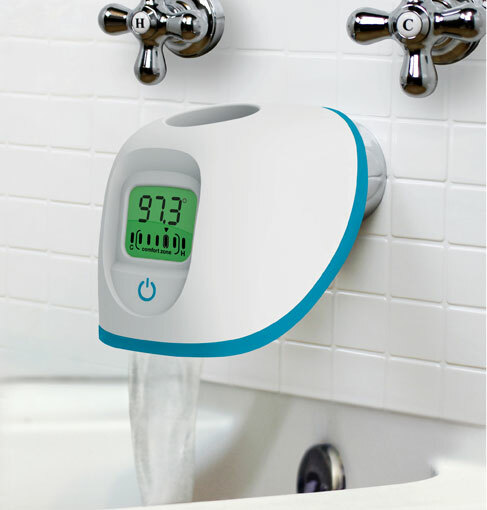 A built-in, color-coded thermometer makes it easy to get a safe, comfortable water temperature. The readout turns red if the water is too hot — so helpful. For smaller newborns, pair this tub with a bath sponge mat or line it with a small towel to keep baby in place. Three AAA batteries are required..
Once your baby outgrows the 4moms infant tub and is able to sit up in the big tub, the 4moms Tub Spout Cover will help keep your child safe and comfortable. The integrated, color-coded digital thermometer is similar to the one in the infant tub and makes it easy to set the perfect temperature. Red means no, green means go! Designed to fit most faucets, the foam padding helps prevent bumps and bruises caused by hitting the faucet, especially handy for playful toddlers. Best of all, the spout cover relies on a mildew-resistant design, but remember to take it off the spout when you shower to avoid getting water inside the unit. 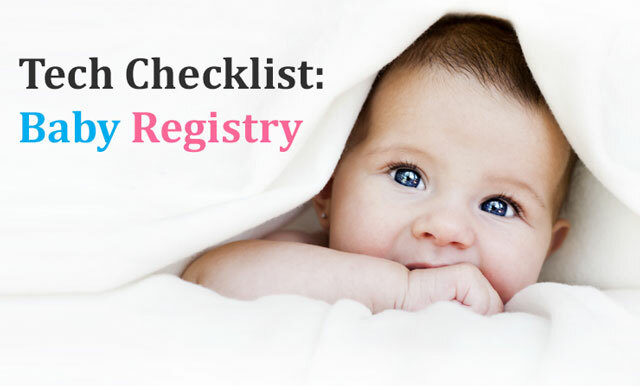 Inevitably, your baby will fall ill and you’ll want an accurate thermometer to track the fever. 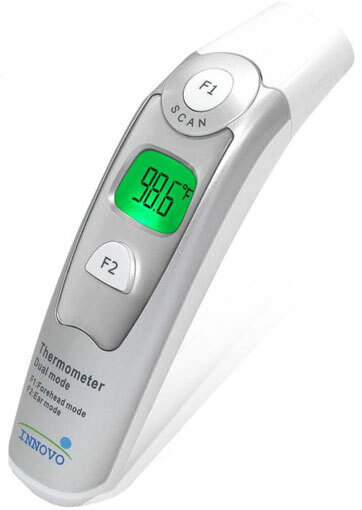 The Innovo Forehead and Ear Thermometer is two thermometers in one. It works as a temporal forehead thermometer for infants and an in-ear thermometer for children over 12 months. For babies, doublecheck with a rectal thermometer like the ErgaLogik Digital Baby Thermometer ($19.95 on Amazon). But for quick checks in between rectal readings, a forehead thermometer is more pleasant for you and baby, and you’ll use the Innovo for years to come. For a continuous monitoring solution, check the FDA-approved Infanttech Smarttemp ($69.99 on Amazon). This waterproof Bluetooth device monitors your child’s temperature and will alert you if the temperature rises beyond a preset threshold. It will also remind you when it’s time for another dose of medicine. The Smarttemp stores seven days of readings and the battery lasts for three years if you’re using it eight hours a day every day. The battery is not replaceable. After two preemies, I was especially anxious to keep up with my babies' weight to know whether they were eating enough those first few months. 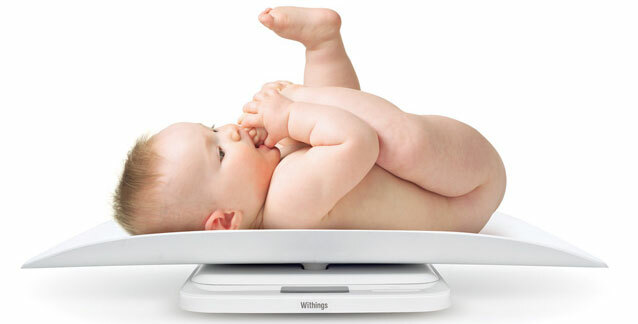 With this sleek baby scale from Withings, parents can confidently keep track of their child's growth at home. No appointment and no waiting room required! The scale evolves along with your baby's growth. Start with the newborn tray featuring position control. Later, remove the cradle and convert it to a step-on scale for children up to 55 pounds. This smart scale syncs with the free Baby Companion app, allowing parents to keep track of their child’s height and nutrition by logging bottles or breastfeeding sessions and comparing them against growth to keep tabs on trends. Early purchasers of the scale noted problems connecting to Android phones and keeping the scale paired. Subsequent app updates have alleviated that problem. The scale can be used without the app. A must for the nursery, a good humidifier provides healthy moisture in the air, which can help with dry skin and provide temporary relief from coughing and congestion. 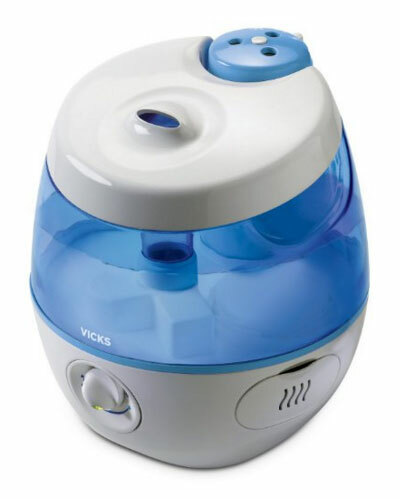 If you’re wavering between a humidifier or a vaporizer, the Vicks Sweet Dreams Cool Mist Ultrasonic Humidifier combines the two using two Vicks Scent Pad slots to produce soothing, long-lasting menthol vapors. Perfect for both babies and toddlers, this device includes a projection feature that rotates through nine images from safari, sea and starry night themes. Each theme rotates through three images throughout the night. The humidifier and vaporizer function runs up to 24 hours per tank (1-gallon capacity) and shuts off automatically when empty. It comes with a two-year warranty and requires no additional filters. Ideal for creating an enchanting and healing bedtime environment. With the Infant Optics DXR-8 Video Baby Monitor, you can see into your baby's room without a mobile phone or app. Video streams in real time to a compact, 3.5-inch full-color LCD display. The sound-activated portable remote turns on when your baby is awake, alerting you if needed. Use the remote to pan, tilt and zoom the camera, letting you keep an eye on every area of your baby’s room — especially helpful as your little one grows into a mobile toddler. Use the separate wide-angle lens to keep watch over other children in the same room. Other must-have features include infrared night vision, a talk-back function, a room temperature sensor and more. Battery life is up to 10 hours in power saving mode and six hours when the screen’s on. 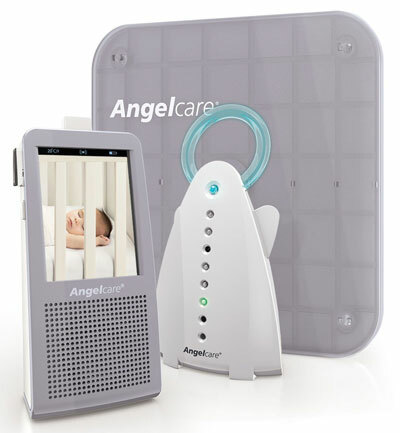 The Angelcare Video, Movement and Sound Baby Monitor not only tracks sound and provides video, but it also detects movement — especially the subtle little movements babies make, asleep or awake — with an under-the-mattress Movement Sensor Pad. The movement sensor sounds an alarm if no movement is detected after 20 seconds; you can rest easy, knowing your baby is sleeping well. The adjustable sensitivity dial on the sensor pad allows you to select the sensitivity level so you’re not alerted to every little adjustment your baby makes if you don’t want to be. The Sensor Pad cannot be used with memory foam mattresses or dual-sided, hollow-frame or Purflo mattresses. 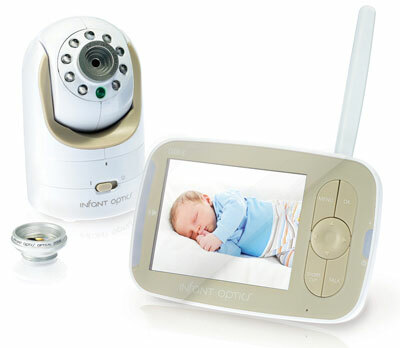 The monitor also provides a live baby video monitor feed from its Nursery Unit to the remote Parent Unit, with touchscreen capability. Video includes a day and night vision Infrared camera. The 2-Way Talk-Back Feature lets you use this baby monitor like a walkie-talkie to reassure your baby with the soothing sound of your voice. This camera also displays the temperature and has an alarm if the temp goes above or below the range you select. Every parent is guilty of sneaking into a baby’s room while they are asleep just to make sure they are breathing. The Snuza Hero SE clips over the waistband of your baby's diaper to alert you if they might be in danger of not breathing. 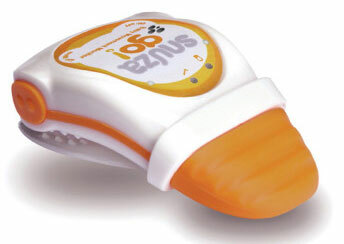 The Snuza Hero's unique vibration feature stimulate your baby if movement is not sensed for 15 seconds. If movement is not detected within five seconds of the vibration, an audible alarm is activated. 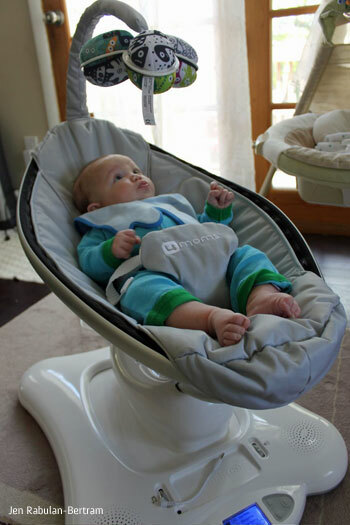 The unit uses no wires or cords that could potentially entangle your baby. This portable audio monitor is also perfect when you're traveling. The Snuza Hero and Snuza Go! both monitor your baby's movements at rest, from their position firmly clipped to your baby's diaper. The Snuza Go! sounds an alarm but does not vibrate to try to rouse your baby before you get there. The entire unit is a little smaller as a result. It sells at a slightly lower price point, providing peace of mind for parents with one less feature at about $25 less. The Medela Freestyle Double Electric Breast Pump is a compact, lightweight breast pump with a three-hour rechargeable battery for mobile pumping anywhere. Once it's fully charged, you no longer need to pump tethered to a wall plug. This portable solution is ideal for car travel or work. The design is lighter and less cumbersome than previous models. Its built-in digital display and timer lets you keep track of pumping effortlessly. 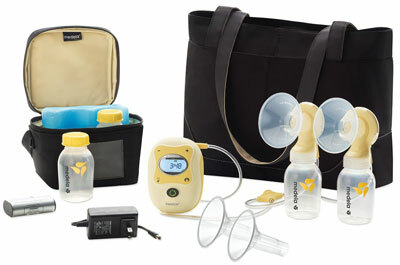 Definitely an upgrade from previous versions, this pump delivers the reliable performance moms have come to expect from Medela breast pumps, including the two-stage expression technology that best mimics how babies nurse. A microfiber bag lets you carry additional pump parts, and a cooler bag with bottles provides storage for pumping on the go. If you don't need the flexibility of cord-free pumping, opt for the less expensive Medela Pump In Style Advanced Breast Pump Backpack. It can be used cordlessly with eight AA batteries but is designed primarily for plug-in use. 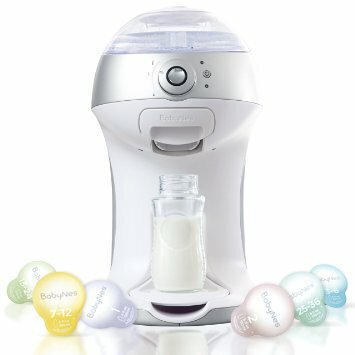 The BabyNes baby formula dispenser is like the formula version of a Keurig coffee machine. With this device, you can prepare your baby’s bottle in less than a minute at the desired temperature with the exact amount of formula — and no lumps. Just insert a single-serve BabyNes formula capsule, available in six age stages, push a button and out pours the measured amount of formula into your baby’s bottle. You don’t have to shake the bottle or bother with heating or cooling it to get the right temperature; just rely on your saved settings. The convenience this bottle maker delivers is especially great for middle-of-the-night feedings. If grandparents or caretakers want to feed the baby, you don’t have to prepare a supply ahead of time or look over their shoulder as they mix and prepare formula. Built-in Wi-Fi allows you to get feeding alerts, track nutrition or set up auto-replenishment of capsules from your smartphone. Like Goldie Locks’ porridge, getting a baby’s milk “just right” so that it’s not too hot or too cold can be a time-consuming challenge, especially when you have a hungry infant on your hands. 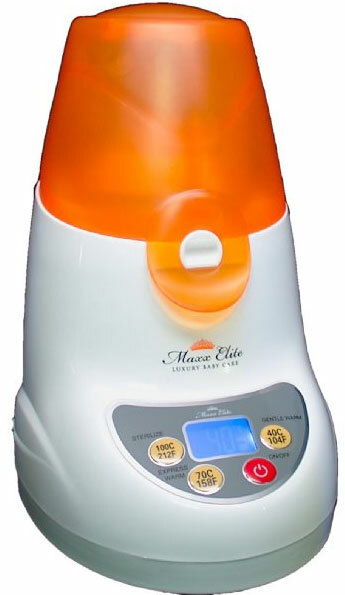 The Maxx Elite Digital Gentle Warm Smart Bottle Warmer & Sterilizer isn’t about warming a refrigerated bottle fast but rather warming it effectively. Some experts point out that rushing to warm bottles in three minutes or less can overheat the milk and kill vital nutrients. This warmer's Gentle Warm feature is designed to preserve nutrients minerals and vitamins while warming breast milk or formula. The Steady Warm feature allows you to maintain a bottle at the right temperature until your baby is ready for it — after all, you’re never really sure when they’ll wake up and demand to be fed. The Maxx Elite comes with a plastic cup you can fill with baby food that fits inside the warmer for heating as well. A self-folding stroller that collapses with a push of a button? Yes, please! We're all about anything that makes getting out with baby easier, and the 4moms Origami stroller does that. The touch of a button folds or unfolds this high-tech stroller. The stroller comes with daytime running and pathway lights to offer ultimate visibility for you and those around you, eliminating the need to attach blinking lights. Tech and fitness buffs will enjoy the build-in LCD screen that includes a thermometer, speedometer and trip and lifetime odometers for tracking strolls. While the storage basket underneath isn't as spacious as that of other strollers, the stroller itself manages to be more compact and still offer cup holders (four, actually), storage pockets and a convenient removable storage bag below. This smooth ride is chic, and its easy-to-use features and power folding will encourage parents to go explore with baby. For use with infants, purchase the cradle insert or use a Graco brand car seat in the base with an adapter sold by 4moms. The biggest drawback to buying a luxury stroller like this one is that costliness of repairs. The Origami stroller has a 24-month warranty valid only in the country of purchase; do hold onto your receipt. If you are out of warranty or are the second owner of the stroller, you may need to get a new one if something breaks, since replacement parts are not available. Several owners have complained on Amazon about the lack of repair service offered for broken wheels and frames; they were offered a discounted price to repurchase the stroller. Easy to carry and load and unload from the car, the Evenflo Advanced Embrace DLX Infant Car Seat outperforms standard car seats in terms of technology and safety. 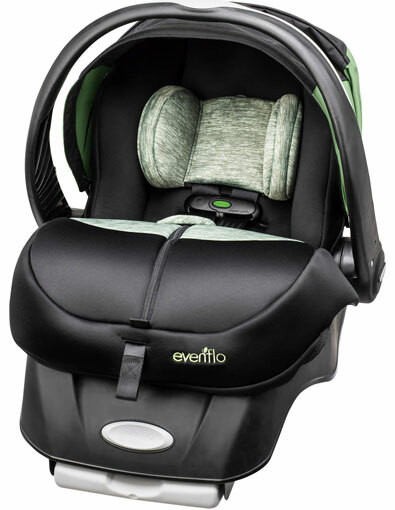 The Evenflo SensorSafe technology built into the harness keeps the driver connected with the baby on board. The Smart Chest Clip and Wireless Receiver plugs into the OBD port in your vehicle and auto-syncs via a standard radio frequency to communicate with you through a series of gentle tones. The receiver alerts you if the chest clip becomes unbuckled during transit. This contemporary-looking design provides extra padding for head support for younger babies; remove the padding as your baby grows. The seat's extended canopy covers more than most, almost touching the baby's feet, lending additional protection from the elements when out and about. This seat can be used with or without the base. Buy additional accessory bases for extra convenience on the go; simply snap the car seat in and out when taking baby on errands or out to eat. The stylish seat is available in black and gray, black and hot pink, and black and teal blue as well as other patterns. You might have seen one of these roll past at the airport. The Go-Go Babyz Travelmate Deluxe quickly turns toddler car seats into compact travel strollers. You'll be able to navigate any airport with your child and all their gear quickly and safely. This convenient travel tool eliminates the need for a stroller and a car seat in the airport, allowing you keep your child within reach while remaining less encumbered by gear. Compatible with a large variety of toddler and convertible car seats, it weighs just 5 pounds on its own. 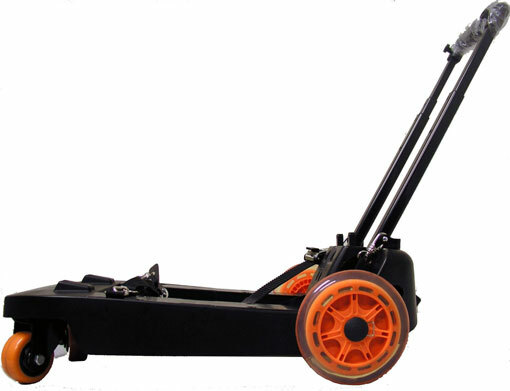 Its wide wheel base provides stable cornering and maneuverability. You can push or pull, choosing from four positions of the carrier's telescoping handle. Older kids will enjoy the feeling of being tipped back and zooming through the airport. It’s a win-win! When you're a new parent driving alone in the car, you'll inevitably want to check on your baby from time to time. The Yada Tiny Traveler rear seat monitor lets you steal a quick glance without turning around. Mount the camera on a window or back of a headrest and put the 4.3-inch monitor up front. Both components need to plug into 12-volt power source, but monitor system itself is wireless. The camera even features night vision for nighttime viewing. This is the most high-tech, top-of-the-line moving infant seat on the market. The mamaRoo infant seat is uniquely designed to mimic the natural motion of holding and rocking your baby. It features five different motions plus built-in nature sounds and a reclining seat. Hospitals and NICUs are already adopting the mamaRoo. It’s Bluetooth-enabled so you can control motio nand sound from your smartphone if you’re busy cooking dinner. Select one of four soothing sounds or play your favorite songs with the MP3 plug-in. The adjustable fabric seat is machine washable. This swing is nice to look at too and has a fairly small footprint; you won't be embarrassed to have out in the living room with your other furniture. 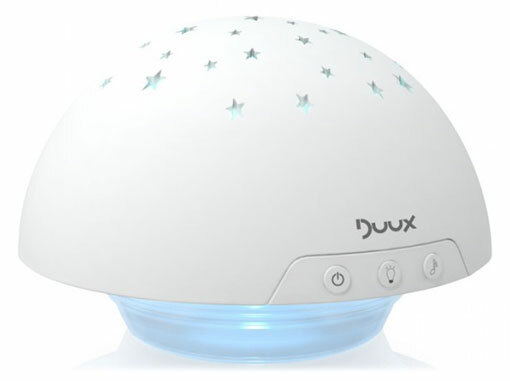 We went through several night light products before striking gold with the Duux Baby Projector, which acts as both a night-light and star projector. Unlike the cute light-up turtles and animals that gobble up batteries each month, this simple light is powered by an AC plug. The night-light stays on the entire night, while the color-changing stars shine for the first 30 minutes. The LED lights never get hot or give off heat. A sensor detects sounds and turns on if it hears your baby crying. While the device can play music too, we found that feature to be a bit loud. The machine is quite lightweight yet durable; my twins have put it to the test, knocking it around a bunch. Another must for the nursery is this soothing white noise machine to help babies fall and stay asleep. 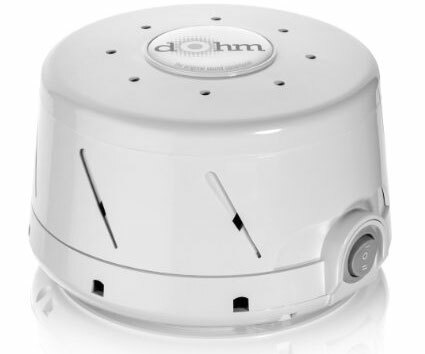 The Marpac DOHM-DS produces seamless sound because it uses electromechanical technology to create the natural sound of rushing air, unlike other white noise machines that play a digital loop and cut off after a set period of time. The steady white noise this device provides has two speeds and does a good job of muffling outside noises, so families won't have to walk on tiptoe during nap time. Since the machine is lightweight and compact, we often travel with ours in order to make new rooms seem more like home for our little ones, letting them sleep soundly in new surroundings. The mamaRoo seat is fantastic; I’ve never seen anything like it. My youngest granddaughter has it and it keeps her calm and comfortable and she sleeps very well (and for long periods). Wish I had one with my kids!